Last weekend I met up with my lovely new Photographer, Hannah Driscoll, for our first shoot together at the beautiful Kensington Gardens in Chelsea, London. Take a look at our shoot where I demonstrate how to completely revamp your outfit, taking it from day to night, with just 3 simple changes and no fuss! TO NIGHT - With a simple change of shoes, bag & coat, no one will notice you're actually wearing the same outfit! 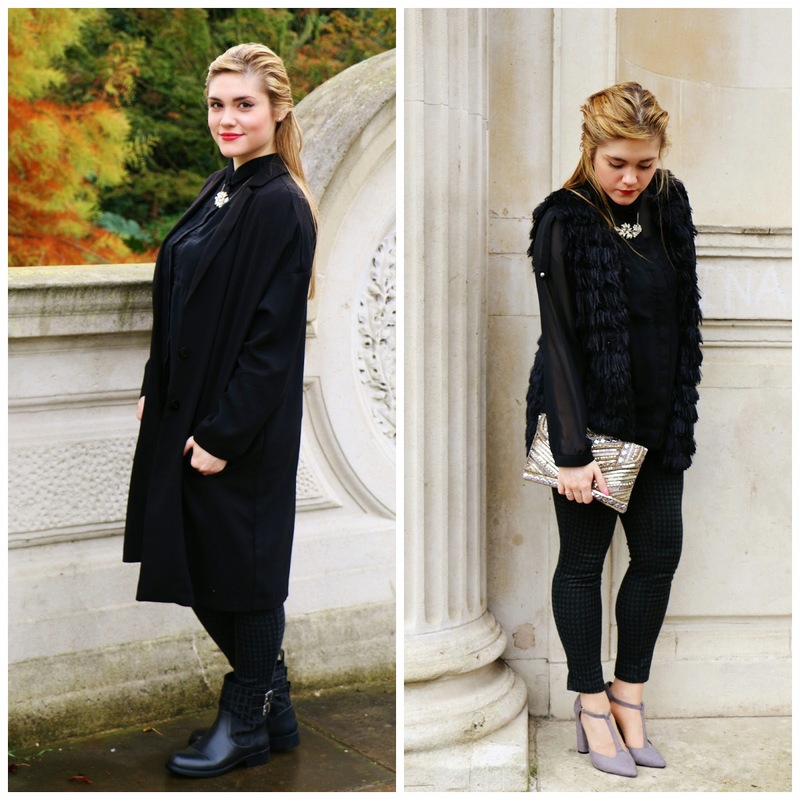 Blouse, Topshop | Coat, Covent Garden | Trousers, New Look | Boots, DKNY | Necklace, Warehouse | Bag, Jimmy Choo. Waistcoat, Steve Madden | Heels, Matalan - available here | Clutch, Matalan - available here | Ring, Pandora - available here.